Citizens deserve to live free from worry of undue risks and danger. That’s why improving public safety is such an important job for the Legislature. We must be tough on crime and smart on crime, making the best possible choices with limited resources. There are some excellent ways to reduce the number of repeat offenders, keep people out of prison and save taxpayer dollars. Family treatment courts, a better approach to sentencing and helping offenders re-enter society can help. Family Treatment Courts are an alternative for parents with substance use problems who haven’t properly cared for their children. These courts offer help from a team of professionals, access to treatment and frequent drug testing. A recent study shows nearly 1,000 parents and more than 1,600 children have benefited from Iowa’s Family Treatment Courts since 2007. There are now family treatment courts in every Iowa judicial district, an initiative that has saved the state more than $12 million. Iowa Supreme Court Chief Justice Cady says Family Treatment Courts are helping to end the tragic cycle of broken families and broken lives due to substance abuse. Keeping low-risk offenders in prison eats up state resources and often doesn’t help the offender or make the community safer. Locking up certain offenders can be counterproductive, particularly low-risk drug offenders who aren’t a threat to public safety. They’re kept away from their families, unable to help with household expenses, raise their children or contribute to society. In these instances, tax dollars may be better spent on rehabilitation. This year, the Legislature voted to use limited resources wisely and ensure prison space for violent, high-risk offenders by allowing the Board of Parole to have low-risk drug offenders supervised in the community. At the time of sentencing, the judge will take into account the person’s criminal record, risk assessment and the negative impact the offense on the victim and others. This change is estimated to save more than $700,000 in FY17 alone. Our work is far from done though. Later this fall, for example, a special legislative committee will study concerns about the increasing violence we’re seeing throughout Iowa. 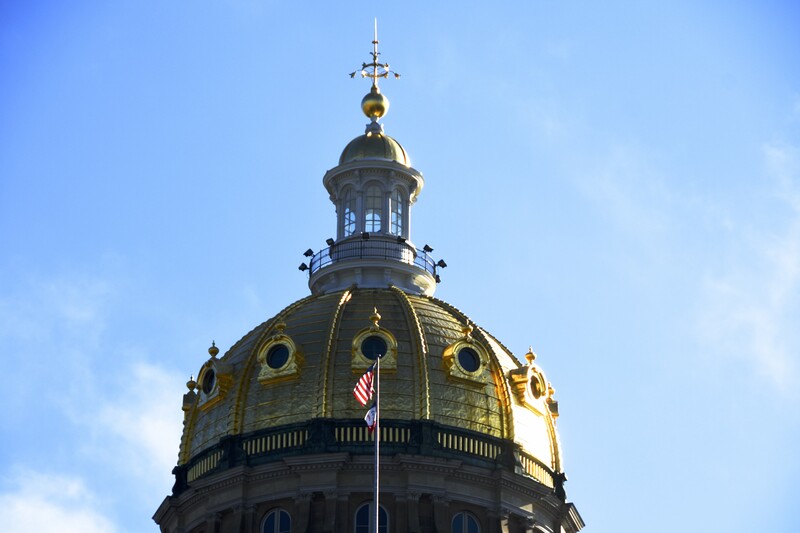 The committee will look for better ways to measure violent crime; review Iowa’s criminal code, sentencing guidelines and other trends; and identify causes and effects of crime. Based on what they learn, they’ll make recommendations for a safer Iowa that we’ll consider during the 2017 legislative session.